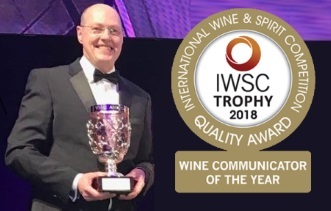 We’re so pleased to announce that Festival of Wine founder Tom Cannavan has been awarded the biggest prize in global wine communication: Wine Communicator of the Year, awarded by the International Wine & Spirits Competition and Vinitaly. 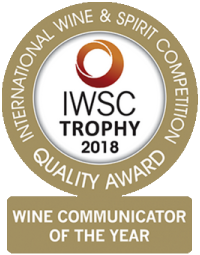 This is the 25th year of this award, the first winner being Jancis Robinson, followed by Hugh Johnson and a list of great names in wine writing and communication. 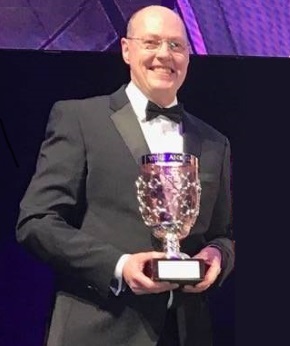 Now Tom has been presented with the 2018 trophy at a glittering ceremony in Verona, Italy. 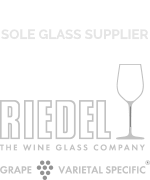 A tremendous and well deserved achievment!